The protests in Egypt have gained fresh momentum with labor unions and state media joining the popular rebellion. 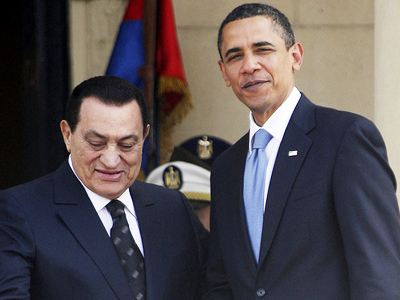 Officials announced that the country’s president, Hosni Mubarak, is preparing to meet the demands of protesters. 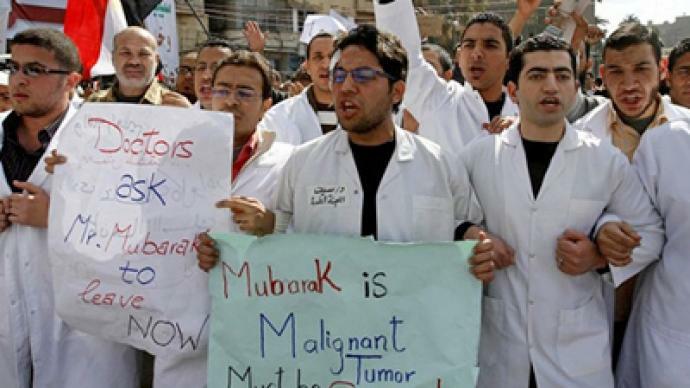 Thousands of doctors and medical students wearing white coats marched to Tahrir square in central Cairo on Thursday and joined other protesters, Al Jazeera television reports. Some 3,000 lawyers, as well as member of the artists syndicate and public transport workers, have also joined in the rallies. According to Al Jazeera, labor unions demand economic changes. They call for higher wages and better working conditions. 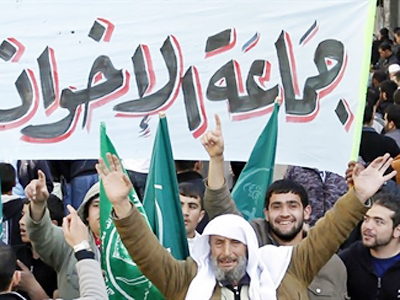 In the city of Port Said, about 4,000 people took to the streets on Thursday to rally for better living conditions. Hundreds of protesters have also rallied in the city of Alexandria, demanding Hosni Mubarak step down. According to military and ruling party officials, Hosni Mubarak is due to speak soon and step down, AP news agency reported. Also on Thursday, the Egyptian state prosecutor announced a formal investigation of corruption allegations against three former ministers and a senior figure in the ruling party, dismissed from their posts since the beginning of the protests. 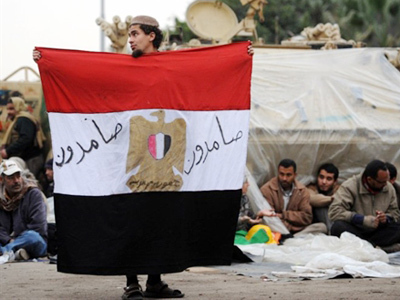 The popular uprising in Egypt has persisted since January 25. The protesters have been demanding Hosni Mubarak step down following his almost 30-year rule. Mubarak had earlier refused to immediately resign, but promised not to take part in the next presidential elections scheduled for September. The promise has not satisfied protesters, who continue to call for Mubarak to resign. However, the government threatened that the army might crack down on protesters by imposing martial law. US officials have recently reiterated their call for immediate political reforms in Egypt. 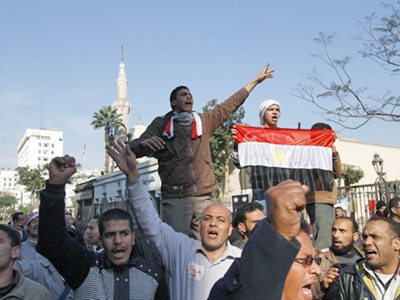 The USA’s interference with the country’s affairs has sparked protests from Egyptian leaders. In an interview on "PBS NewsHour," Egyptian Foreign Minister Ahmed Aboul Gheit said that the USA’s calls for Egypt to “change now” in the early days of the protests were equivalent to imposing its will on the country. According to William Engdahl, Egypt’s reaction to the United State’s meddling in its affairs is logical. ­Professor at the US Naval War College Michael Vlahos said he believes that the money the US has been pouring into Mubarak's regime has been with the direct aim of securing American influence in the Middle East. "These views are my own and do not reflect the views of the US Government," Michael Vlahos added.